We provide professional web sites and communications services for small businesses and non-profits. We make your life easier by helping you feel confident that your organization is presented in its best light. You can hire us for a one-time contract or bring us on as a part of your support staff, whichever suits you best. Some clients prefer to work with us on an as-needed basis while others set up monthly retainer agreements for ongoing projects. Enjoy peace of mind knowing we are accessible and available, ready to turn out work quickly as the need arises. 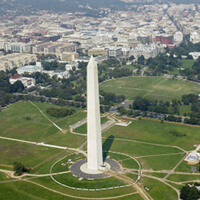 We create new sites from the ground-up, overhaul existing sites, and troubleshoot broken sites. Our managed hosting is provisioned on private servers personally managed by Jonathan and located in a Tier-III datacenter. Daily geo-redundant system and site-level backups are manually verified. Reduce your IT expenses and simplify your infrastructure management by migrating your business or organization to web-based productivity suites like Google Apps or Zoho. Integrate donation forms for your non-profit, add a small shop to an existing site, or build out a full-featured storefront. Our ecommerce solutions are seamless, secure, and compliant and can integrate with your existing merchant account. Local clients can even turn their web stores into a full point-of-sale system for easy inventory syncing. Tell your story to donors, customers, and constituents via compelling web copy, social media posts, and feature articles. Engage and convert would-be supporters, expand your outreach, and strengthen your existing relationships. Bridge the distance between what you want to say and how to say it -- the right words via right medium. Explore select examples of our work below. Click the images to learn more about each project and read comments from our clients. We met while working for the same special needs nonprofit, Caroline directly after graduating from Vassar and Jonathan after a first career in live audio engineering. We married in 2009 and continued in various direct support and administrative roles until 2012 when we moved to Florence, AL. As Caroline's business became increasingly focused on web sites, social media, and email newsletters, we found ourselves often working for the same clients. To better represent ourselves and the work we do, we launched TheMcGraws.net. 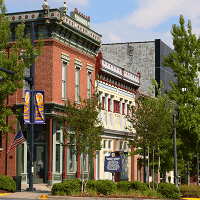 We are located in historic downtown Florence, Alabama but serve clients coast-to-coast. Use the contact form below to get in touch with us about your project. We will respond to your query within one business day. "Jonathan and Caroline did a great job! We needed a new website that was fun and playful, yet also professional and well-organized, and they nailed that balance. Building a new site for us meant uploading and reformatting a significant amount of archived content, and they made sure that every detail was done right. We couldn't be happier with the result." "Our passion is providing state-of-the-art behavioral-based interventions, therapy, and support services to children & families affected by autism, but our outdated website setup was getting in the way of our work. It was confusing to families and stressful for our staff as well. Fortunately, we connected with Caroline and Jonathan. They delivered an eye-catching new site, along with thoughtful recommendations and excellent support every step of the way, so that I could continue designing in the future and adding content on my own. 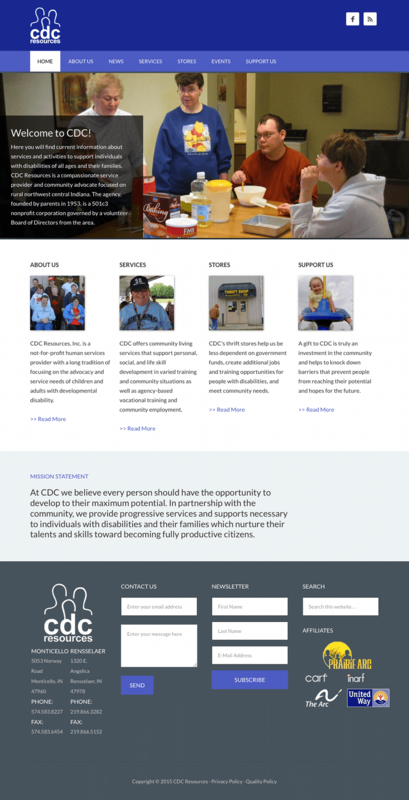 The McGraws completed a full website redesign and assisted us with reorganizing our site's content as well. They also integrated new features such as an events & news blog, contact forms, and an elegant donation processor. The new site is exactly what we wanted: inviting and playful while also streamlined and professional. Simply put, Caroline and Jonathan do great work. 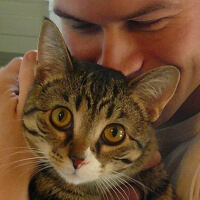 "When the Project Rex team recognized a need for ongoing web development support, I knew just who to contact. I'd connected with Caroline through her excellent work with the Lowcountry Autism Consortium, and I knew that her skills could be an asset to Project Rex. We hired Caroline to assist us with social media management, blogging, group promotion, and expanding our online presence. She and her husband Jonathan have exceeded expectations with a fantastic new website, and we're pleased to have secure, password-protected pages to post assignments for group participants. Now our website is working for us, and we're thrilled." 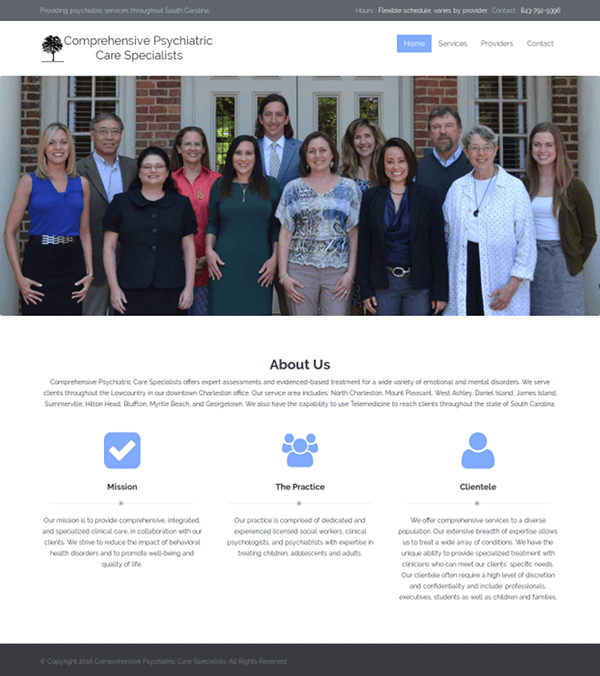 "When our psychiatric care practice needed a new website, I knew just who to call. My colleague Dr. Frampton Gwynette of MUSC Project Rex spoke highly of The McGraws, and I'd seen the transformation they effected on the MUSC Project Rex website. Caroline and Jonathan took our site and gave it a modern, professional look and feel. The process of working with them was efficient and straightforward, with clear communication. Plus, their SEO work is already paying off; we have had several new clients find us through our newly-optimized website. We were so pleased with their work that we hired them to design new business cards, brochures, and print materials for us too. It's wonderful to be able to hand off these projects and know that they'll get done right." "When my old e-commerce website stopped working due to a loss of data on the part of my former hosting company, I didn't know what to do next. Fortunately, I hired Caroline and Jonathan, and together they created a new (and better!) e-commerce site for me. They've done a great job maintaining and updating it over the long-term. I count on Jonathan to update the site software and integrate new features as needed, and ensure that my data is securely stored and backed up regularly. 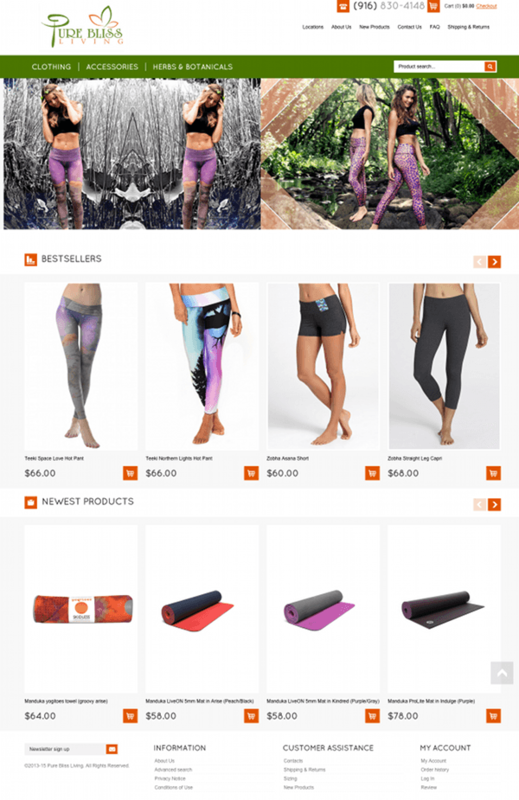 Meanwhile, Caroline completes regular inventory updates, uploads and formats new product listings, and handles customer service communications too. The result? A significant jump in online orders - up 67% in one year. I don't know how I did business without them!" "I can't say enough about Caroline and Jonathan - they are a great team and they get work done well and on time. As a small business owner, it is such a relief for me to be able to delegate projects to them. Their efforts have undoubtedly improved our marketing and communications and we've seen an increase in job leads as a result. Over the past few years, they have partnered with us to revamp our website, expand our online project gallery, write project descriptions, integrate SEO tools, update our external profiles, share on social media, and communicate effectively with our email list. Their work has helped us to take our business to the next level. The quality of leads coming in continues to get steadily better and better since we have had Caroline on board. I appreciate her help on maintaining and constantly improving our web presence .... Couldn't do it without her!"" "Our former website was an exercise in frustration: it was outdated and we didn't have the necessary access to revise and update it either. We provide services and activities to support individuals with disabilities and it was frustrating not to be able to post our events for families. Plus, the old site lacked key features, such as an online donation form and a way to seamlessly integrate our social media streams. We hired Jonathan and Caroline to select and customize a new design theme for us, and we're so glad that we did. Now we have a professional, mobile-responsive site that we can update ourselves. Our secure donation page looks great and functions well too. In fact, we received our first online donation the day we launched the site! We're very pleased with the work that was done on this project." 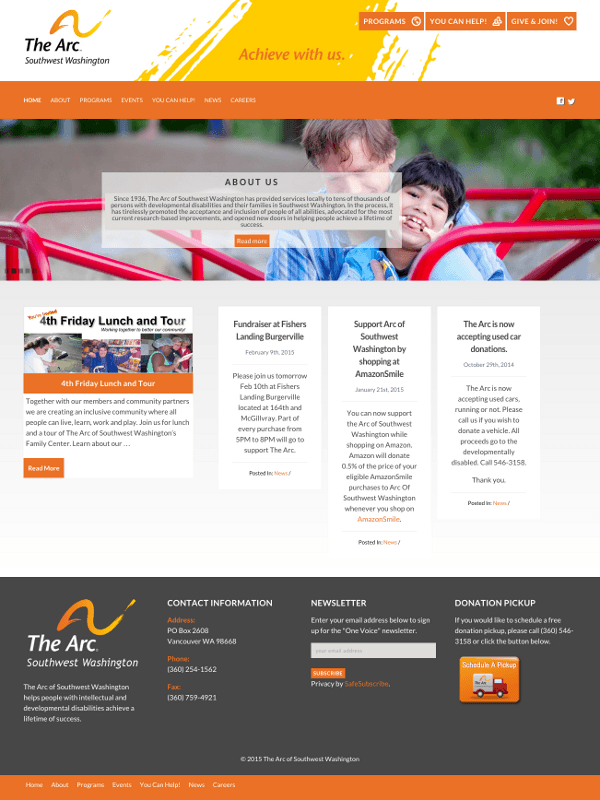 "I hired Caroline and Jonathan to redesign the Arc of Southwest Washington website, and I'm so glad that I did. They are professional, accessible, and easy to work with, and the website is fantastic - I've received lots of positive feedback on the new design. Now we're working together to do ongoing news updates, media consulting, and event listings. I couldn't he happier with their work - they have definitely made my life easier. Highly recommended." "When a client needed a ghostwriter who could quickly learn about some complex addiction treatment topics and become our voice, I knew it would be a challenge. I was skeptical we would be able to find anyone who could bring both a credible depth of subject matter expertise and fluid style. Caroline blew us away with her first article and she’s been our go-to writer ever since, producing multiple articles and eBooks each month. She’s a consummate pro and a delight to work with." "I found Caroline through Google, and as I read through her blog and online offerings, I knew that I'd found the perfect copywriter for our organization. The Lowcountry Autism Consortium is focused on serving the autism community in Charleston by providing free resources and from-the-heart encouragement. Caroline's articulate, compelling stories of life as a sibling of a younger brother with autism demonstrated a blend of practical knowledge and heartfelt emotion. I hired Caroline to write the copy for our new website, and was so pleased with the quality of her work that I've hired her on an ongoing retainer basis as well. I love working with her!" "Caroline did a really terrific job on this project! 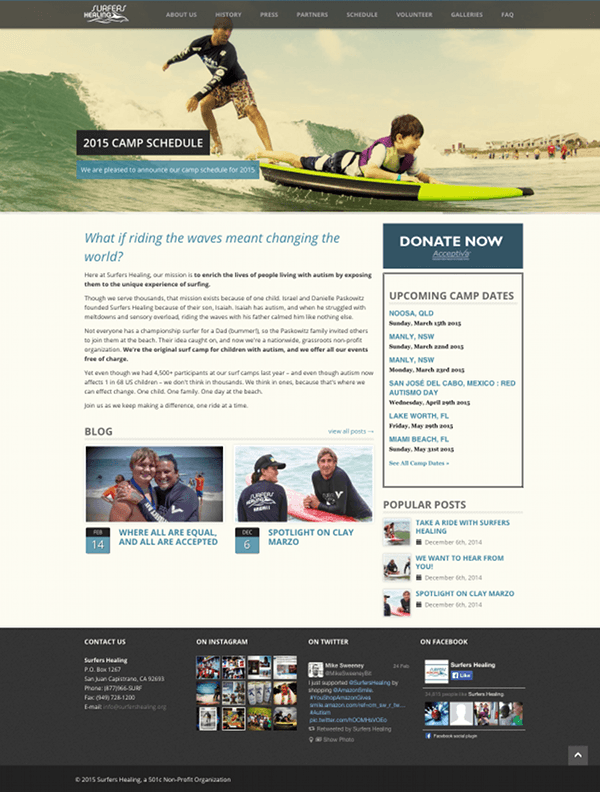 We needed a new, high-quality, professional website for Surfers Healing, and Caroline's copy was an integral part of making that happen for us. As we searched for a copywriter, we wanted someone who could write straightforward, engaging copy with a friendly, positive tone. Caroline delivered exactly that. Her personal and professional experience in the autism world translated to excellent, heartfelt copy. She completed all work on time, was responsive to revision requests and consistent in following up on her project responsibilities. She also input the new copy into the website backend, thereby saving us time and money. It was a pleasure to work together on this project, and I certainly hope to collaborate with Caroline again in the future. She was an incredible help and a joy to work with." "When our agency took on a new client in the autism services sector, we conducted a search for an autism-specific copywriter to join our team on a contract basis. We sought a writer with professional knowledge and personal warmth, someone who understood both the challenges and joys that autism families face. Caroline's experience and abilities make her a natural fit for the role. Her writing strikes the friendly yet authoritative tone necessary for our client's blog; in fact, she nailed the voice almost immediately. She turns in her work on time (usually early), and she's receptive to feedback and change requests. Simply stated, it's a pleasure to work with her." Project fees vary and are determined after consultation and evaluation to establish the project scope. For a new noncommercial website, a minimum fee of $1750 will be charged. Sites with ecommerce features (beyond a simple donation form) begin at $2500. Technical support, copywriting, content management, social media management, and consulting services are billed at $75 per hour. Starter hosting plans begin at $15 per month. This service includes monthly software updates (if your site requires it), nightly offsite backup, and resolution of any problems that affect the normal operation of your site. Management of dedicated servers begins at $100 per month. Posted rates are good through the 2018 calendar year.